It’s that time again for The Secret Recipe Club! 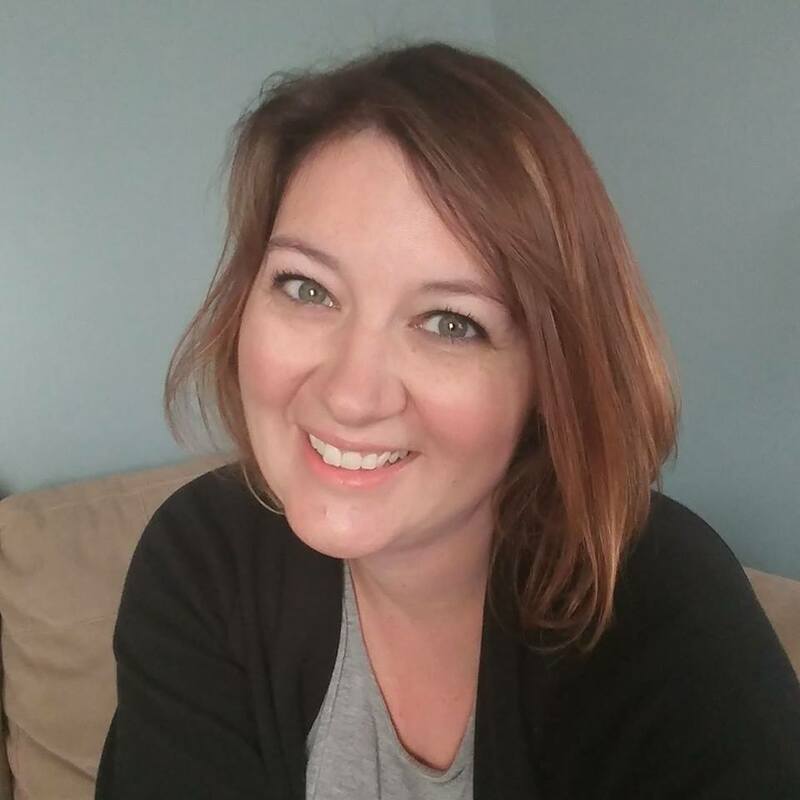 This month I was assigned Erin’s blog, Making Memories with Your Kids. Erin is a mom of two cute kiddos and she does the most amazing food activites with them! I’ll definitely be borrowing a few ideas when my daughter wants to help out in the kitchen. 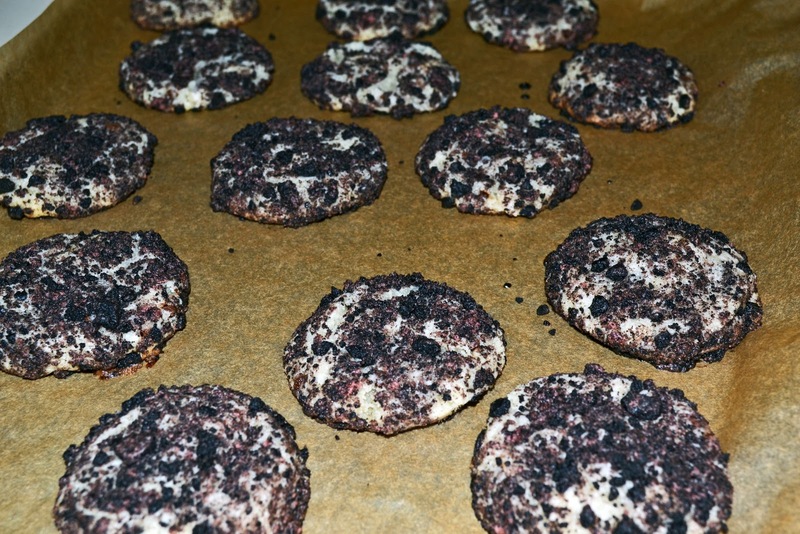 After looking through Erin’s blog, I decided on her recipe for Oreo Cheesecake Chocolate chip cookies. It was the perfect recipe especially since I had some cream cheese to use up and I’ve had a new found addiction to peppermint Oreos (cravings already!) This recipe makes a little less than 2 dozen cookies but it’s the perfect way to try out the recipe and it’s easy to double or triple depending on how many cookies you need! I took them to work and my coworkers RAVED about them…I didn’t get a chance to eat any since they went so quickly. Preheat oven to 375 degrees. Line a baking sheet with parchment paper, set aside. In a large bowl, cream together the butter and cream cheese. Add in the sugar and vanilla. Mix well until completely combined. Stir in the flour and then gently stir in the chocolate chips. In a small bowl, add the crushed oreos. Scoop the cookie dough into 1 to 1 1/2 inch balls. The dough should be sticky. Roll them in the crushed oreos to completely coat. Place the cookie balls on the prepared cookie sheets and bake for 12 to 15 minutes or until slightly golden brown on the edges. Cool on the cookie sheet for 2 minutes before moving to a cooling rack to completely cool. Want to be part of The Secret Recipe Club? Join here! ← Baked Spinach Dip Mini Bread Bowls…and a BIG SURPRISE! So glad you liked them! Thanks for the kind words. It's fun cooking with you in the SRC! Those look AMAZING! I know my husband and kids would go nuts over them! Oreo's and Cheesecake what a great combination for a great cookie. It looks delicious. It is fun cooking with you at the SRC, have a great day! Mmm…. Oreos. Cheesecake. Chocolate Chips. Cookies. Those are music to my ears and I'm going to try these. I love Erin's blog. Those cookies are just fabulous. What's not to love about cheesecake and oreos?! Can't go wrong with Oreo's! Nice simple and easy recipe, too! Oreos, cheesecake and chocolate chips? Wow! Yummy! All these delicious sweets recipes this month are killing me! I love oreos AND cheesecake! Glad to be a part of SRC with you! Check out my Shrimp & Artichoke Tapenade Crostini recipe from this month's reveal. Happy eating! I love the look of these cookies. No surprise they were over that quick!! !